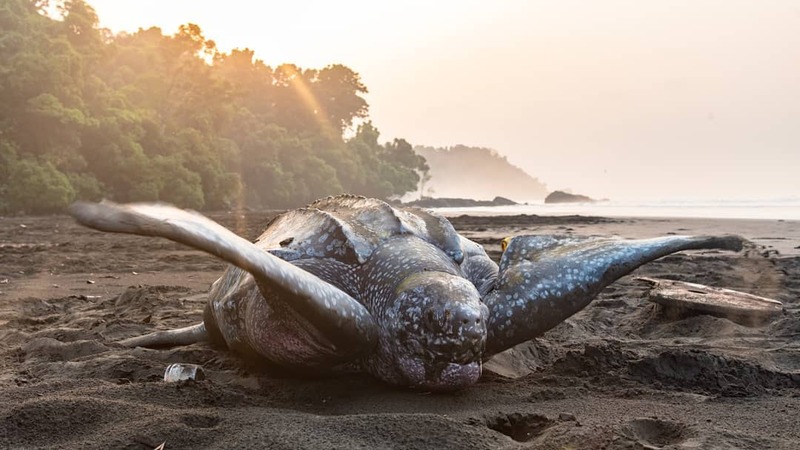 The goal of the Bioko Marine Turtle Program is to protect and conserve marine turtles by conducting scientific research that improves our understanding of the threats that sea turtles face on Bioko Island and in the Gulf of Guinea. Our science is used in collaboration with national park administrators to inform and guide effective management and protection of turtle populations on Bioko Island. We share the results of our studies with the international scientific and regulatory community through publication in scientific journals and presentations at professional meetings and conferences. 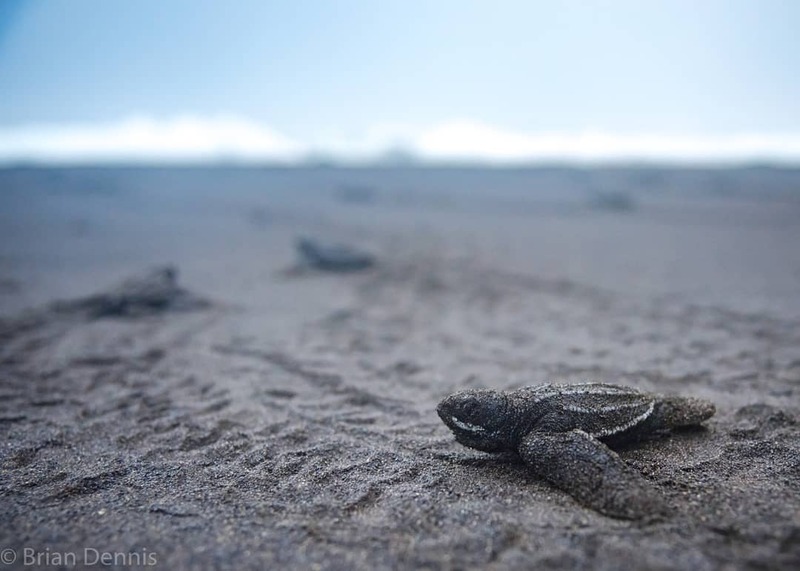 The Bioko Marine Turtle Program maintains field camps on the southern beaches of Bioko Island during the sea turtle nesting season, which extends from October to March of each year. In addition to serving as a base for research activities, our presence in these camps and the activities of our local field assistants and employees provides passive protection from poachers, who must pass through camp on their way into and out of the areas where they hunt protected wildlife. 2018 saw the start of the first satellite tagging project for any marine turtle species on Bioko Island. Our team placed satellite transmitters on six green sea turtles, whose movements along the West Coast of Africa are currently being tracked. In addition to satellite tagging, we are performing stable isotope analysis to better understand the foraging sites and diet of these turtles. In 2016 we initiated a study on the accumulation of marine debris on the southern beaches of Bioko and the effects that plastics and other anthropogenic debris has on nesting and hatching turtles. Our preliminary results show that over 50% of all plastic found on the southern nesting beaches are white or clear plastic and 39% of nests had small pieces of plastics inside the egg chamber or close to incubating eggs. 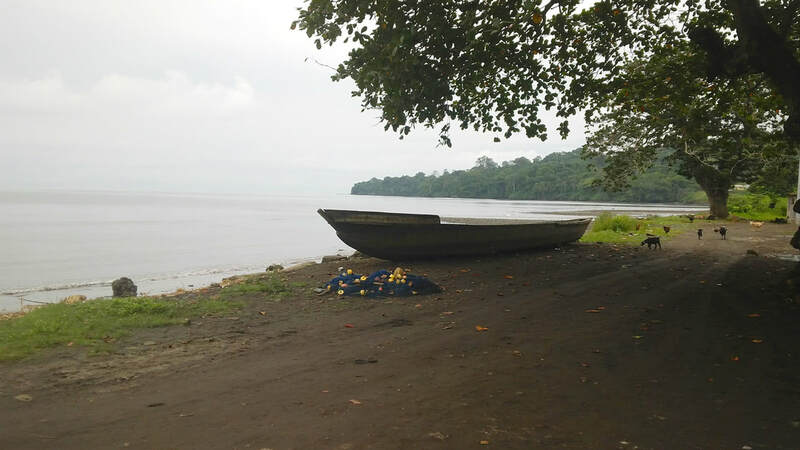 ​In order to better understand the impacts of small-scale fisheries on marine megafauna, we are documenting the current status of artisanal fisheries on Bioko Island. Conducting semi-structured interviews with artisanal fishers’ allows us to quantify fisheries interactions such as encounter rates with marine megafauna and bycatch. During the 2016-2017 field season our team carried out surveys in the rugged southern forest to determine the impacts that hunting has on various primate species, with special on the Bioko drill. 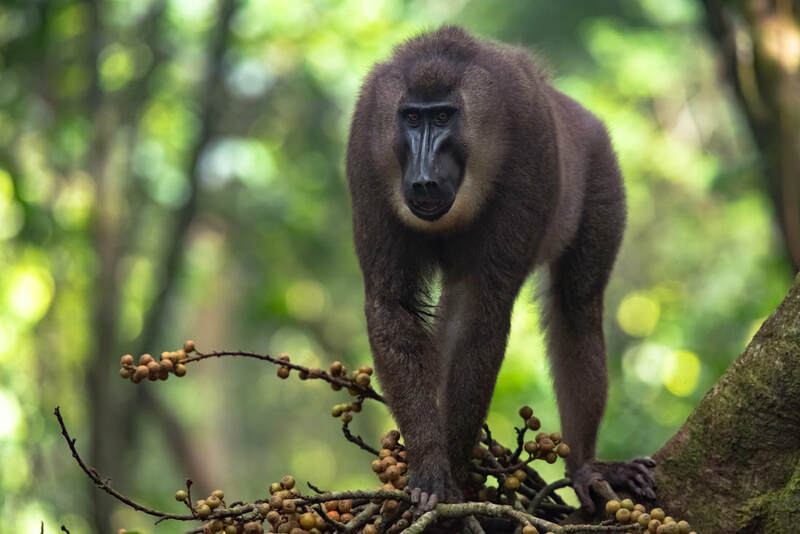 ​Master's Thesis by Lisa Sinclair: "Population Assessment of Monkeys in an area of increasing Hunting Pressure on Bioko Island, Equatorial Guinea." During the 2016-2017 nesting season we examined some of the environmental factors currently affecting hatching success and how these affects are likely to change with the predicted rate of sea level rise. 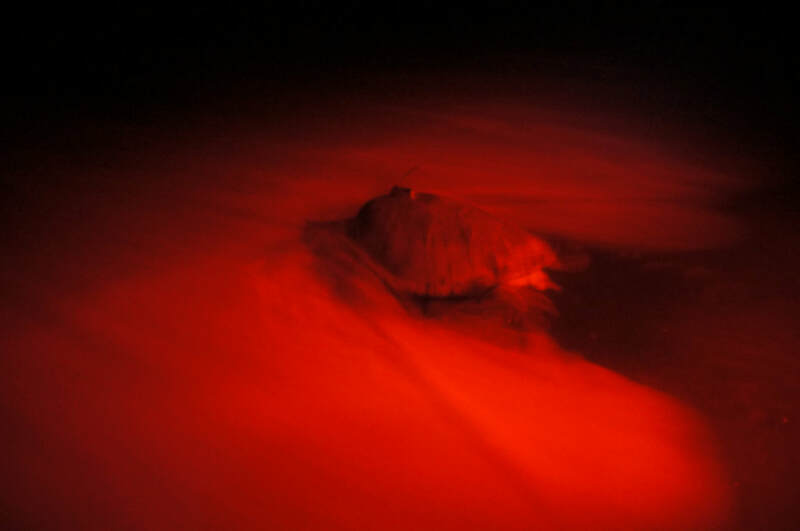 Multiple green and leatherback sea turtle nests were monitored and measured for the various climate related factors impacting hatching success.